A couple of years ago, stories started circulating about a Crabzilla, -zilla being the suffice we English speakers like to add to things to kaiju-ize another word. We're goofy on language in that way. Just ask anyone in the northern USA who has lived through a Snowpocalypse or someone from Brooklyn who has eaten a Hampire State Burgding for lunch on a Friday and had to stay in all weekend with the meat sweats. It's not pretty. Nevertheless, when stories like the one on the mirror.co.uk website began to surface appearing to show a "50ft giant crab caught on camera yards from British harbour" here, GameMasters began to drool over how much bigger they could make their own monsters and not seem like they were too far fetched. I know my own giant crabs went from Harryhausean to GiTanakan faster than someone can scream and point toward the ocean. Sadly, such stories were swiftly debunked by the saviors of all Internet-dupes-like-myself, Snopes.com, with articles like this one here. Still, it was fun while the crab meat and melted butter lasted. 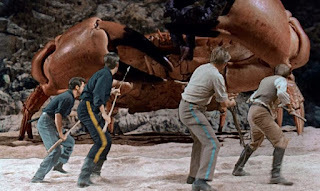 But the promise of a gianterest crab had me searching about for something just a bit bigger than the confusingly named Dungeness crab, which has nothing to do with the underworld and is no fitting counterpart to Dragonesses, ampersand or no. Also known as the Metacarcinus magister (formerly the Cancer magister), two additional ominous names, it was named the state crustacean of Oregon in 2009. An honor to which all crabs should aspire. 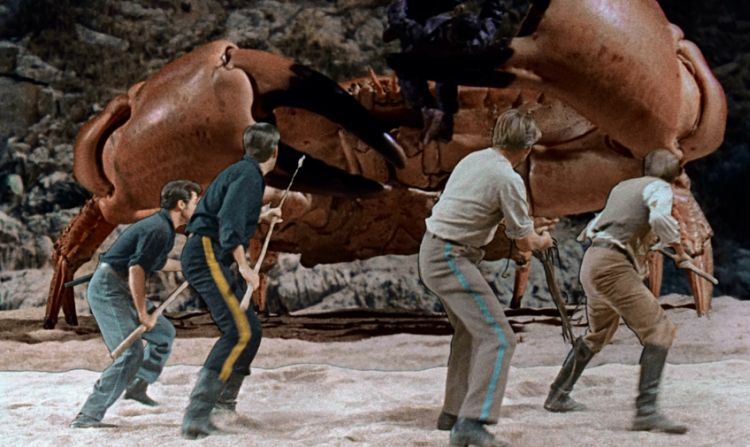 But Ray Harryhausen, for his movie Mysterious Island (1961), had bought a real crab at a market and had it put down, cleaned, then fitted with an articulated inner framework to use for his stop motion filming process. He alternated his own footage with some of live crabs which he filmed in Spain, so he may well have used a Velvet crab (the coloration aside). 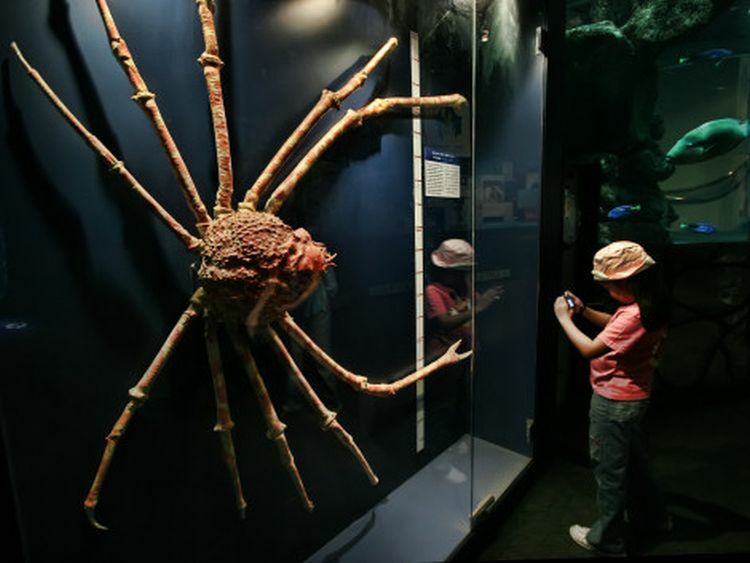 Ultimately, though, the largest known crab species of our real world seems to be the Japanese Spider Crab. These beasties can grow to be nearly twenty feet across, leg-spread included. One can find good pictures of these all over but to find a good one for scale, The Nature Geek has found out one of the best is here. 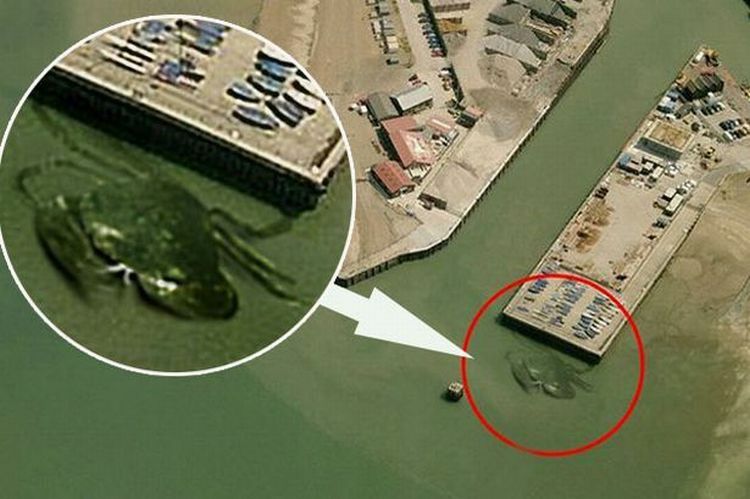 The fact that this crabzilla can be found around Japan is probably just a coincidence and not a byproduct of nuclear activity or accidents. Probably.